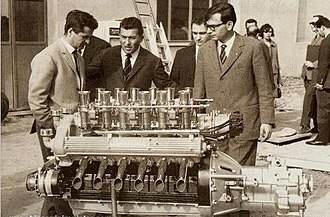 Gian Paolo Dallara (born 16 November 1936) is an Italian businessman and motorsports engineer. He is the owner of Dallara Motorsports, a company that develops racing cars. He graduated from Politecnico di Milano university, majoring in aeronautical engineering. 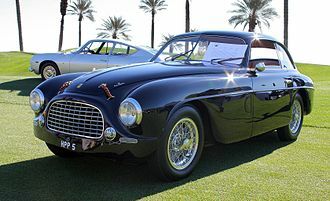 He joined Ferrari in 1960, and next year moved to Maserati. 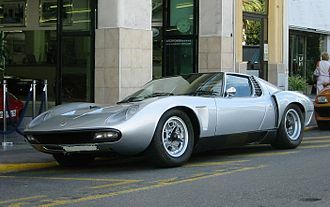 In 1963 he was hired by Lamborghini as their chief designer, where he (along with Paolo Stanzani, and Bob Wallace) designed the chassis of the Lamborghini Espada and Miura. In 1969 he started to design race cars for Frank Williams, founder and manager of the WilliamsF1 Formula One team. In 1972, Dallara founded and established Dallara Automobili in Parma, Italy. Starting from 1974, Dallara and his company started designing a Formula One car, the Iso-Marlboro IR, for the Williams Team. Another project included designing a race car to Formula 3 standards. 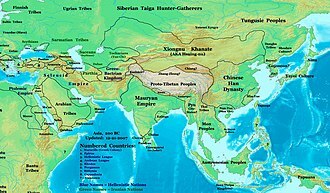 This resulted in victories in Italy, France, England, Switzerland, Germany, Japan, United States, Russia, and Austria. In 1997 Dallara and his company expanded into IndyCar racing, with many victories from 1998 until 2003. 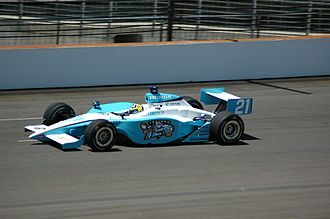 Beginning in 2007, Dallara has been the single chassis supplier for IndyCar. Dallara later branched out into F1 projects in the mid-1990s, but by the end of 1998, Honda, coming to the new project as full constructor, called on Dallara to design the new F1 chassis for BAR-Honda. Later Honda cancelled this project. In 2015 Dallara became investor in the phoenix club Parma Calcio 1913 along with Guido Barilla and Mauro Del Rio. ^ "Gianpaolo Dallara | This is timpelen.com - a website dedicated to Automobili Lamborghini". Timpelen.com. Retrieved 7 June 2017. ^ "F1 News - Grandprix.com > GP Encyclopedia > People > Giampaolo Dallara". Grandprix.com. 10 March 2007. Retrieved 7 June 2017. ^ "8W - What? - Honda RC101". Forix.autosport.com. Retrieved 7 June 2017. ^ Smith, Rory. "Fallen giants of Italian football begin to stir". Retrieved 7 June 2017. ^ "Parma Calcio 1913 unveiled, 'new chapter' begins for club says Barilla". ESPNFC.com. Retrieved 7 June 2017. After Williams backed Courage in a successful 1968 Formula Two season, he purchased a Brabham Formula One car for Courage in 1969. This allegedly angered Jack Brabham, as the car had been sold to Williams with the expectation that it would be used in the Tasman Series, Courage in fact had a great year, taking second place at both the Monaco and US Grands Prix. 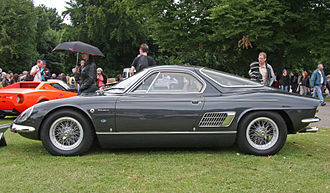 Their efforts attracted the interest of Italian sports car manufacturer De Tomaso, the car was initially uncompetitive, failing to finish the first four races of the year. In the fifth, the Dutch Grand Prix, the De Tomaso 505/38 flipped and caught fire, the death of his friend seriously upset Williams, the subsequent distance the team principal placed between himself and his drivers has been attributed to this event. The team soldiered on, first with Brian Redman, with no results, the partnership with De Tomaso was dissolved. For 1971, Williams purchased a year-old March 701, and ran Frenchman Henri Pescarolo, the team upgraded to a new March 711, but results were difficult to come by. The old car was entered for Max Jean at the French Grand Prix. After the success of 1969, Williams was now low on funds, Pescarolo did, keep the outfit ticking over with fourth place at the British Grand Prix and sixth in Austria. From the Brazilian Grand Prix, Carlos Pace was entered in the previous years March 711, the Len Bailey-designed Politoys FX3 was a conventional Cosworth-engined car with a Hewland FG400 gearbox. It debuted in the hands of Pescarolo at the British Grand Prix, but the steering failed, Pescarolo switched back to his March 721 while the Politoys was rebuilt. 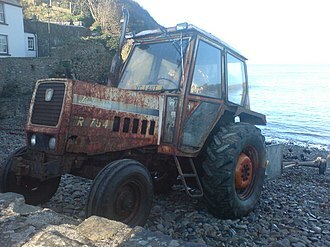 The Politoys FX3 was reworked as the Iso-Marlboro FX3B and a car was built. Two new drivers were signed, New Zealands Howden Ganley and Italys Nanni Galli, at the first race in Argentina, Galli qualified 16th with Ganley 19th and last on the grid. Gallis engine failed on the first lap, but Ganley finished the race, the team fared better in Brazil with Ganley finishing seventh and Galli ninth. 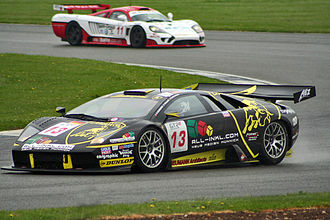 Galli was injured testing a car and replaced for the following race in South Africa by local driver Jackie Pretorius. Midland F1 Racing was a Formula One constructor and racing team. It competed in the 2006 Formula One season with drivers Christijan Albers, the team was created by the renaming of Jordan Grand Prix after its purchase by Canadian businessman, and owner of the Midland Group, Alex Shnaider. The team was registered as the first Russian Formula One team, reflecting Shnaiders roots, although it continued to be based in the United Kingdom, at Jordans Silverstone factory. Towards the end of the 2006 season, the team was sold to Spyker Cars N. V. the team raced in its last three Grands Prix under the official name Spyker MF1 Racing. In 2007, the team competed as Spyker F1, and in 2008 was sold to Indian businessman Vijay Mallya and was renamed Force India F1. The Midland Groups interest in Formula One involvement began in 2004 when they confirmed plans to create a team to race in the 2006 season. As a result, the team would be a continuation of Jordan. It allowed Midland to claim the television revenue generated by Jordans subsequent ninth place in the constructors championship, the team retained Jordans name for the 2005 season but struggled at the back of the grid with rookie drivers Narain Karthikeyan and Tiago Monteiro. Some media reports at this time began to speculate that Midland were unhappy with their purchase, team principal Trevor Carlin quit the team after seven races, and chief engineer and designer Mark Smith before the end of the season. 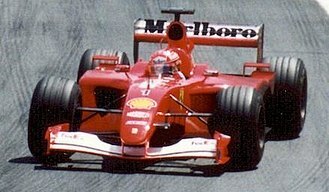 There were consistent reports that the team was linked with a buy-out by former Formula One driver Eddie Irvine, the name of the team was changed to MF1 Racing for the 2006 Formula One season. In the UK a joke emerged regarding this form being written in the same way as economy furniture manufacturer MFI. 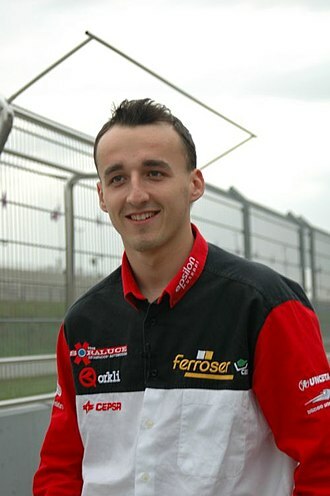 Over the winter Russian driver Roman Rusinov tested a new car, motoGP motorcyclist Max Biaggi had a test in the car at Silverstone in January. The team had failed in a bid to sign Takuma Sato. Much of that progress was down to tyre development from Bridgestone coupled with significant improvements in aerodynamics and handling. The improved performance saw the team begin to make it into the qualifying session on an occasional basis - eight times out of a possible 36 overall - with a best qualifying position of 14th. ORECA is a French racing team, founded in 1973 and run by Hugues de Chaunac, former team manager of F1 team AGS. In the 2000s, Oreca assisted Renault Sport in building the new Megane V6 for the Renault Eurocup Megane Sport, for 2006 Oreca ran the Saleen S7R in the Le Mans Series. The Oreca Saleen S7R had already won the 2006 Spa-Francorchamps Le Mans race, Oreca worked closely with Dodge on the Dodge Viper Competition Coupe, producing well over 100 customer cars in the period 2006–2007 to GT3 specification. In 2011, Oreca won the 12 Hours of Sebring race despite still using a 2010-spec car versus the new for 2011 Peugeot 908s, in 2012 Oreca was selected to run the Toyota TS030 Hybrid LMP1 car with support from Toyota Motorsport GmbH in the FIA World Endurance Championship. The car showed promising speed but did not finish at Le Mans due to a crash involving one car. In 2008 Oreca became a sports manufacturer, producing the Oreca 01. The 01 was made for the LMP1 category and was first raced at the 20091000 km of Spa with two entries, during 2009 Oreca started producing the Formula Le Mans FLM09. Campos Racing is a Spanish motor racing team, run by former Formula One driver Adrián Campos. The team has been successful in Formula Three and the GP2 Series, after retiring from racing, Campos formed his own team at the end of 1997, under the name Campos Motorsport. 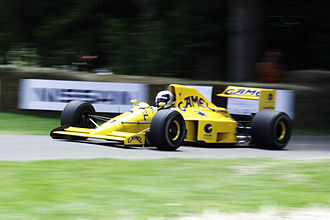 In 1998 the team began by competing in the new Open Fortuna by Nissan, with Marc Gené, Gené won the championship and García finished fifth, with Campos taking the teams title. Gené stepped up to Formula One in 1999, and his place in the team was taken by karting driver Fernando Alonso, Alonso went on to win the Euro Open Movistar by Nissan as it was renamed, with García finishing fifth again and Campos retaining the teams title. 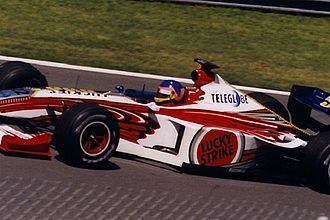 With Alonso moving onto International Formula 3000, García led the team in 2000, winning the championship, the series became the World Series by Nissan in 2002. In 2004 the team switched its focus to the Spanish Formula Three Championship, under the name of Campos Grand Prix, the team finished third in the GP2 drivers and teams championships, with Giorgio Pantano and Vitaly Petrov as drivers. In 2008, they won the championship and finished third in the drivers championship with Lucas di Grassi. They won their first overall Spanish F3 crown in 2008 with Germán Sánchez, after the 2008 season, Campos passed control of his GP2 team to Spanish businessman Alejandro Agag, who renamed it Addax Team. In 2009, Campos was awarded a Formula One entry for his team to race in the 2010 season, originally under the Campos Grand Prix name, but the name was soon changed to Campos Meta. After financial struggles, the team was out in February 2010 by majority shareholder José Ramón Carabante. Campos will return to GP2 in 2014 replacing the Addax Team on the grid, with drivers Arthur Pic, Alexander Rossi replaced Sato at the Hockenheimring due to Sato competing in an Auto GP race. Pic will be retained for the 2015 season with Rio Haryanto joining the team, as of 2015, Campos will partake the GP3 Series in place of Hilmer Motorsport. † Alexander Rossi raced for Caterham Racing for 10 races in 2014 scoring 10 of his 12 points, in 2008, the team raced under the Barwa International Campos Team banner. The Dallara F191 was a Formula One car designed by Gian Paolo Dallara and Nigel Couperthwaite for use by the BMS Scuderia Italia team during the 1991 Formula One season. Its best finish was at the San Marino Grand Prix when JJ Lehto drove it to third place, the Dallara F191 car was designed by Gian Paolo Dallara and Nigel Couperthwaite was an entirely new albeit conventional car rather than simply a development of the previous years car. 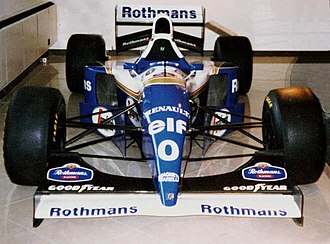 Like the cars of most other teams, the car had a high nose configuration, the Cosworth DFR from 1990 was discarded and instead an exclusive supply of Judd V10 engines was sourced from Engine Developments Limited. The new engine, developed by John Judd, generated plenty of power, at the start of the year it was achieving 660 bhp and by the end of the season it was putting out over 700 bhp. 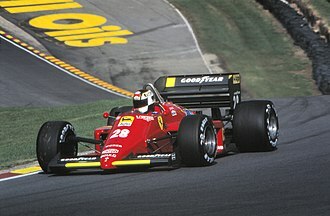 For 1991, Emanuele Pirro, who drove for the team the year, was retained while Andrea de Cesaris was replaced by JJ Lehto. While pre-qualifying was no barrier for Lehto, Pirro had failed three times, when he qualified for races, Pirro enjoyed relatively good reliability in contrast to Lehto who only finished five races all year. The Dallara 3087 is a Formula 3000 car with which the BMS Scuderia Italia team competed in the first race of the 1988 Formula One season. 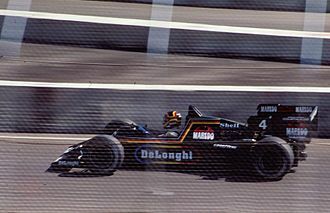 Driven by Alex Caffi, it failed to pass pre-qualifying with its fastest time being 18 seconds slower than the set by Ayrton Senna for pole position. It was replaced for the next race by the Dallara F188 which was specifically designed for Formula One. 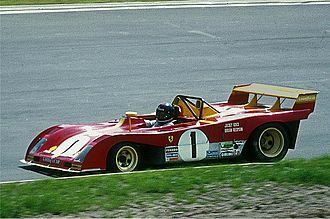 However, in order to fulfil its obligations to participate in the World Championship, for the first race in Brazil, Scuderia Italia brought a chassis designated the 3087. This was Dallaras Formula 3000 car, adapted to meet the FIA rules and it was equipped with a 3-litre Cosworth DFV engine with the rev limiter removed, all other normally aspirated cars in Formula One had larger 3. 5-litre engines. It was driven by Italian Alex Caffi who had driven in Formula One for Osella. The car passed scrutineering and Caffi took part in pre-qualifying and he predictably finished in last place,18 seconds slower than the pole position time of Ayrton Senna and did not qualify for the race. The Politecnico di Milano is the largest technical university in Italy, with about 42,000 students. It offers undergraduate and higher education courses in engineering, founded in 1863, it is the oldest university in Milan. The central offices and headquarters are located in the campus of Città Studi in Milan. The university was ranked the best for Engineering and among the top big universities in Italy in the CENSIS-Repubblica Italian University rankings for 2014-2015. According to the QS World University Rankings, it is the 20th best technical university in the world, ranking 11th for Design, 24th for Engineering and its notable alumni include Giulio Natta, Nobel laureate in chemistry in 1963. The Politecnico was founded on 29 November 1863 by Francesco Brioschi, secretary of the Ministry of Education and it is the oldest university in Milan. Its original name was Istituto Tecnico Superiore and only Civil and Industrial Engineering were taught, the second main line of study at Politecnico, was introduced in 1865 in cooperation with the Brera Academy. There were only 30 students admitted in the first year, over the decades, most of students were men, the first female graduate from the university was in 1913. In 1927 the Politecnico moved to piazza Leonardo da Vinci, in the now known as Città studi. At the time, it was named Regio Politecnico, the word Regio was removed as Italy was proclaimed a republic at the end of World War II. The historical building still in use today was designed and built by engineers, the present logo, based on a detail of the preparatory sketch of Raphaels School of Athens, was adopted in 1942. Until then, there was no official logo for the institution, in 1954, the first European centre of electronic computation was opened in Politecnico by Gino Cassinis and Ercole Bottani. 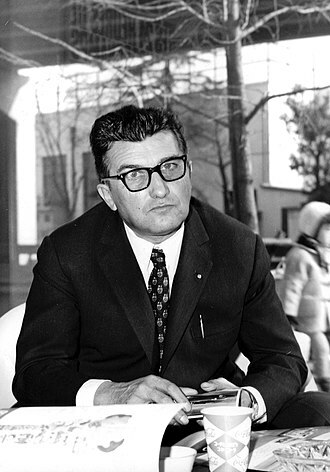 In 1963 Giulio Natta received the Nobel Prize in Chemistry for his research on crystalline polymers, in 1977, the satellite Sirio, jointly developed by Politecnico and other companies, was launched. Since the end of the 1980s, the Politecnico has begun a process of expansion that would have resulted in the opening of its satellite campuses in Lombardy. Parma listen is a city in the northern Italian region of Emilia-Romagna famous for its prosciutto, architecture and surrounding countryside. It is home to the University of Parma, one of the oldest universities in the world, Parma is divided into two parts by the stream of the same name. The district on the far side of the river is Oltretorrente, Parmas Etruscan name was adapted by Romans to describe the round shield called Parma. The Italian poet Attilio Bertolucci wrote, As a capital city it had to have a river, as a little capital it received a stream, which is often dry. Parma was already an area in the Bronze Age. In the current position of the city rose a terramare, the terramare were ancient villages built of wood on piles according to a defined scheme and squared form, constructed on dry land and generally in proximity to the rivers. During this age the first necropolis were constructed, diodorus Siculus reported that the Romans had changed their rectangular shields for round ones, imitating the Etruscans. Whether the Etruscan encampment was so named because it was round, like a shield, the Roman colony was founded in 183 BC, together with Mutina,2,000 families were settled. Parma had an importance as a road hub over the Via Aemilia. It had a forum, in what is today the central Garibaldi Square, in 44 BC, the city was destroyed, and Augustus rebuilt it. 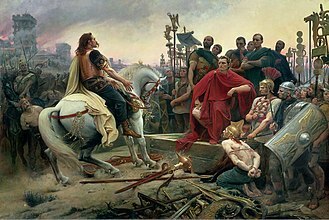 During the Roman Empire, it gained the title of Julia for its loyalty to the imperial house, the city was subsequently sacked by Attila, and given by the Germanic king Odoacer to his followers. During the Gothic War, Totila destroyed it and it was part of the Byzantine Exarchate of Ravenna and, from 569, of the Lombard Kingdom of Italy. Under Frankish rule, Parma became the capital of a county, like most northern Italian cities, it was nominally a part of the Holy Roman Empire created by Charlemagne, but locally ruled by its bishops, the first being Guibodus. 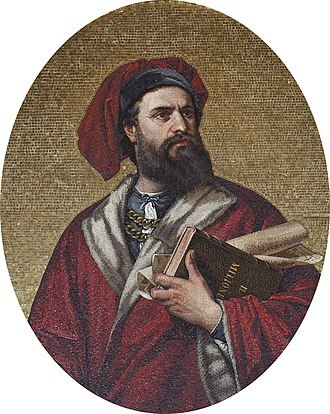 In the subsequent struggles between the Papacy and the Empire, Parma was usually a member of the Imperial party, two of its bishops became antipopes, Càdalo, founder of the cathedral, as Honorius II, and Guibert, as Clement III. Senna retired his reliveried F110 from the Canadian Grand Prix with gearbox problems. G-Force GF05 IRL car that Juan Pablo Montoya drove to victory with at the 2000 Indianapolis 500. A Panoz GF09 Indycar Series chassis driven by Jaques Lazier during practice for the 2007 Indianapolis 500. Dallara IR05 Indycar chassis driven by Scott Sharp at the 2007 Bombardier Learjet 550 at Texas Motor Speedway. 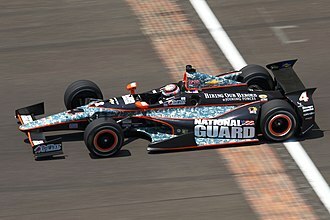 2012 DW12 chassis with the Speedway configuration driven by J.R. Hildebrand during practice for the 2012 Indianapolis 500. This initial version of the DW12 would be utilized during the 2012-2014 seasons. An Audi R8 used by Oreca in 2005. An Oreca 03-Nissan, raced by Boutsen Energy Racing at the 2011 6 Hours of Castellet. Narain Karthikeyan driving for Midland owned Jordan at the 2005 United States Grand Prix. Christijan Albers at the 2006 United States Grand Prix. Christijan Albers driving a 2006 M16 in the late season Spyker livery. A rear view of the Nissan-powered SP1, which features slightly modified bodywork to include inlet ducts on the rear fenders for the turbochargers.